The US Marine Corps has complained that 70 percent of their strike jets are not airworthy due to aircraft age and lack of funding to renovate them. According to statistics provided by the Marine Corps to Fox News television channel, only 276 Hornet strike jets in their service are airworthy, which amounts to 30 percent of the fleet. Also, out of 147 heavy-lift Super Stallion helicopters, only 42 are operational. Officers at military air stations in South Carolina, which the channel spoke to, name several reasons for the alarming state of the Marine fleet, such as budget cuts, the fight against Islamic State (IS, formerly ISIS/ISIL) in Syria and the toll of wars in Afghanistan and Iraq all contributing to the problem. US military spending dropped from $691 billion in 2010 to $560 billion in 2015. Lack of funds has forced the Marines to seek unconditional ways to procure the needed parts. They were reduced to ‘cannibalizing’, or taking parts from one aircraft to get another one airborne. This even led to the snatching of aircraft parts from museums in order to keep planes flying, according to the Military Times news outlet. The Marines state it can take them up to 18 months to get parts for early models of jets, adding that aircraft shortages result in pilots spending less time in the air and more either fixing planes or queuing to get on an operational one. “We are supposed to be flying jets, not building them,” Lt. Col. Harry Thomas, Commanding Officer of a Marine Corps squadron based at Beaufort, told Fox. “These last 30 days our average flight time per pilot was just over 4 hours,” Commanding Officer Harry Thomas told the network, adding this figure used to be between 25 and 30 hours 10 years prior. Another pilot who asked to remain anonymous complained to Fox that Chinese and Russian pilots fly more hours each month than an average US Marine. This trend can be fatal for the US Army as the troops do not train enough to be ready for deployment in case of need. “The simple fact is that we don’t have enough airplanes to meet the training requirements for entire force. […] To have the reserves [ready] we have to bring them on active duty. We got to get more airplanes on the ramp; pilots have to fly more; we’ve got to get our maintainers the parts they need to fix the airplanes. But it’s not going to happen overnight. 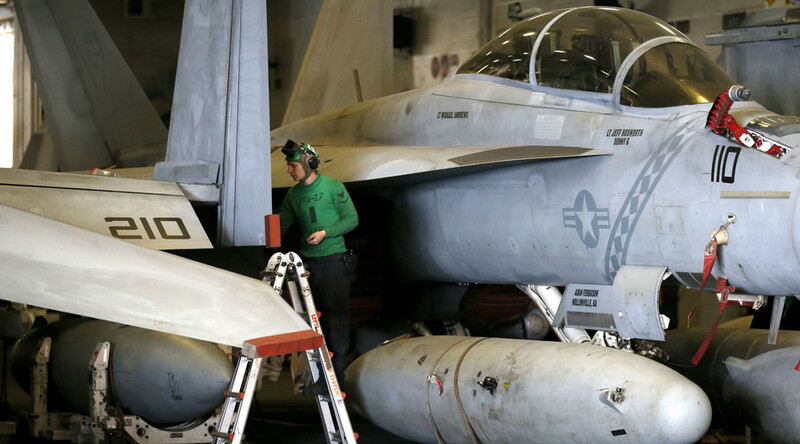 It’s going to take a couple years of this combination of effects,” General Robert Neller, the Marine commandant, said during a House budget hearing about the growing number of aviation mishaps in March, as quoted by Marine Times. He added that the US is able to deploy troops to ‘fight another war‘, but it will not be easy. Meanwhile, the US military fleet decay has also resulted in increased aircraft accidents over the past few years, as General Neller stated. “Aircraft accidents have increased and we are very concerned about it. We track this very closely and the simple fact is that we don’t have enough airplanes to meet the training requirements for the entire force. We want [training hours] to be 14-15 hours per month but we can’t get there with the budget,” he stressed. This year’s mishaps include the collision of the two U.S. Marine CH-53 Super Stallions on Jan. 14. In 2015, twelve helicopter crashes killed 30 troops.